There was a bear on stage at Roy Thomson Hall Wednesday night, and he consumed the black Steinway concert grand like a toy piano. OK, the Siberian-born pianist Denis Matsuev isn’t a bear, but the 34-year-old with all his Russian roar was bear-like in his performance of Rachmaninoff’s Piano Concerto No. 3 — lovable and cuddly on the outside, powerful on the inside, and prone to be violent in extreme situations. Backed by conductor Valery Gergiev and the touring Mariinsky Orchestra (formerly the Kirov Orchestra), the Rach 3 was the centrepiece of an all-Russian program that marked the end of the Mariinsky’s two back-to-back concerts in Toronto. Matsuev, a pianist with inhuman techniques, was more than generous in his delivery of the world’s toughest piece of piano music. The sound was big, to say the least, and depending on where you sat in the hall, it often drowned out the entire orchestra with seemingly little effort. At least that was the case sixth row from the stage and off centre to the right. That being said, Matsuev was a pure knockout. His lyricism was subdued (lovable and cuddly), his sense of harmonics multi-dimensional (powerful), and his blistering climaxes extreme (prone to be violent). Even as he pounded across the keyboard in full force and oversaturated intensity, the lid shaking and all, there was something ecstatic about his playing that made you want to stay with the music instead of tuning out. Gergiev and the fabled Mariinsky Orchestra did their best to keep up with the soloist, but there was only room for one bear on stage. The crowd gave Matsuev a persistent standing ovation before receiving a solo encore prior to the intermission. With the orchestra still seated on stage, Matsuev played Figaro’s aria from Rossini’s Barber of Seville in a flashy Liszt-like transcription. This is a pianist with a big heart and he holds nothing back. If you like things hot, you’ll love Matsuev. If you have a low tolerance for heat, Matsuev is better appreciated in small doses. The rest of the program consisted of Liadov’s The Enchanted Lake and Shostakovich’s Symphony No. 15. Anatol Liadov (1855-1914) was a pupil of Rimsky-Korsakov and teacher to Prokofiev. In The Enchanted Lake, which opened the concert, Gergiev created a romantic soundscape with serene colours and rich textures. Conducting baton-less and without a podium, Gergiev’s hands didn’t beat times (they musicians know how to count perfectly well by themselves). Rather, his incredibly soft-looking and what seemed like battery-run tripe-jointed fingers fluttered about in the air, sending out vibrations of feelings. As a listener, Gergiev’s hands were intriguing to watch throughout the concert. However, by the end of the concert, in Shostakovich’s Symphony No. 15, one wondered whether it was a necessity, a conducting style, or a nervous tic that those fingers fluttered as much and fast as butterflies do. The Mariinsky Orchestra was a powerhouse in Shostakovich’s last symphony, which isn’t an easy piece to take in for an average listener. Throughout its barren four movements — the fastest being allegretto — the musicians responded to Gergiev’s ever-animated hand gestures and displayed a well-absorbed understanding of the piece’s dark inner meaning. The solo cello was especially haunting and beautiful while the percussions offered a striking blend with absolute precision. Gergiev gave an encore following another standing ovation. After several more bowings, he signaled section principals to exist the stage and waved goodbye at the audience. The 86 year-old Menahem Pressler appeared last night at Pollack Hall before a packed house of appreciative musicians and music lovers. A generous performer, Pressler smiled throughout the evening, possessed with a twinkling energy that fueled his playing and spread throughout the audience. Well-programmed, the concert consisted of Dvorak’s Quintet in A Major, Op. 81, performed with the Cecilia String Quartet, McGill’s graduate quartet in residence, followed by Schubert’s beloved “Trout” quintet, performed with McGill faculty members, Jonathan Crow (violin), Douglas McNabney (viola), Matt Haimovitz (cello) and Ali Yazdanfar (double bass). The young Cecilia Quartet presented an elegant interpretation of Dvorak’s lyrical, folk-inspired work, to a standing ovation. They showed their best in the livelier moments of the piece, displaying an impressive unity of expression and articulation. At times, their phrasing and melodic contrasts could have been more strongly emphasized to give the piece a greater intensity. Pressler’s exquisite phrasing stood out; he transformed the piece with melodic expression that seemed as natural as breathing. After intermission, the performance of the Trout quintet exemplified the best of chamber music with highly responsive, nuanced playing. Crow displayed his remarkable sense of phrasing and tone, enjoying a brilliant rapport with Pressler. The blend of sound between Crow, McNabney, Haimovitz and Yazdanfar was beautifully rich and varied. Watching Pressler interact with the other performers was a reminder of the pure joy that can arise from playing chamber music. Music appears to be an energizing force that has carried Pressler through 86 years with no sign of slowing down. 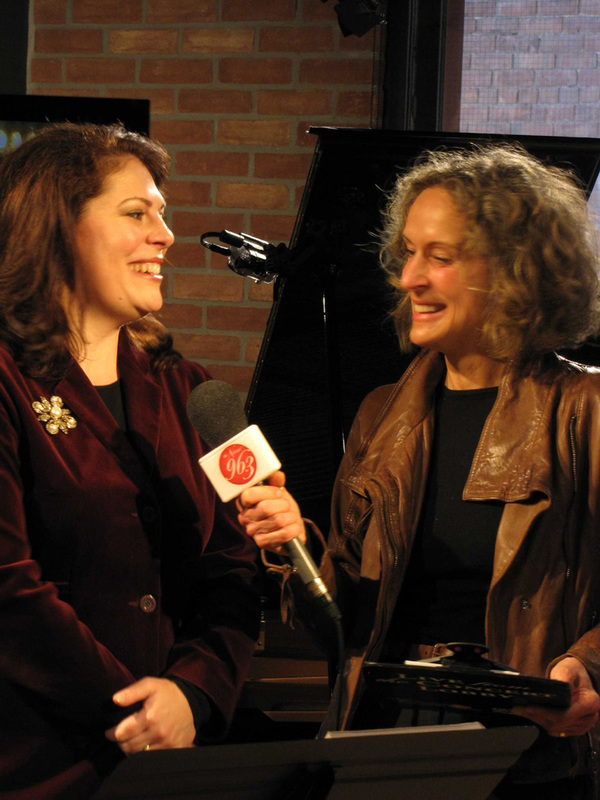 Soprano Sondra Radvanovsky is Canada's - and Toronto's - best kept secret. I say that because the internationally renowned soprano sings in all the important opera houses of the world, yet hardly ever in her adopted country of Canada. The American-born Radvanovsky is married to a Canadian, Duncan Lear, who is also her business manager. They have been living near Toronto for quite some years now. Yet the only time she has sung in Toronto was a brief appearance in LUNA, an opera concert during the Luminato Festival three years ago. But things are going to change. This Saturday March 20 8 pm, Radvanovsky and the Russian baritone sensation Dmitri Hvorostovsky will give an opera concert at Roy Thomson Hall. 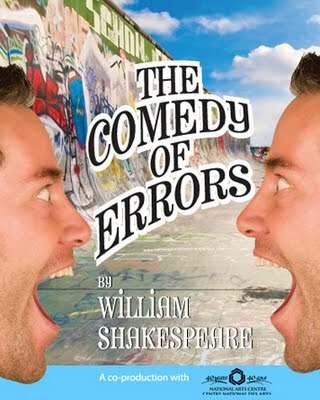 This is part of a tour sponsored by Show One Productions that will take them to Montreal and New York. They have sung together in many opera productions, but particularly in Verdi's Il Trovatore. They will reprise the opera at the Arena di Verona this coming summer. This fall, Radvanovsky will be making a belated COC debut, as Aida, which will also be her role debut. An authentic "Verdi soprano", Radvanovsky has a dark-hued and sumptuous soprano of beauty and power, with a remarkable range, from mezzo lows to a high E-natural. She is also capable of a full range of dynamics, from honeyed mezza voce to knock 'em dead fortissimos. I have heard Regine Crespin and Gwyneth Jones live, two legendary sopranos known for the huge sounds they made. Judging by yesterday's concert that Radvanovsky gave at the New Classical 96.3 FM, our Sondra has them beat in the volume department, and beautiful too! JS: Is it true that you started your career at the age of eleven? What were you singing at that age? SR: I was singing a lot of Italian art songs. I did my first opera as a smoke girl in Carmen, at 13! It was in a little town in Richmond, Indiana. JS: Have you always had this dark timbre in your sound? SR: Yes, I have. Actually my voice developed very early. I started as a mezzo...that's where the colour came from. Maybe it's also the Czech part of my heritage. My father is Czech and my mom Danish. JS: Can you still speak Czech? JS: Where did you do your vocal studies? SR: I went to USC and UCLA, as a theatre major. I also studied privately with Martial Singher when I was at UCLA. JS: You also studied with Ruth Falcon? SR: Yes, for fourteen years - I left her two years ago. JS: What about Diana Soviero? Do you still work with her? SR: Yes, I work with her on and off - it's just hard to find the time. I work mostly with my coach in New York: I've been with him now for sixteen years. I basically know how to sing...I just need a set of ears to tell me if something is right or not. JS: You said your voice changed drastically the last year and a half....can you explain? JS: Does that mean Norma is beckoning? SR: What scares me more is the first aria, 'Ritorna vincitor' - it's so dramatic and so easy to get caught up in the drama as opposed to staying calm. Yes, I'm excited but a little nervous! JS: Would you say the Trovatore Leonora is your signature role? SR: Absolutely! I've done it hundreds of times. JS: What about Elena in Vespri? JS: It's not done very often, is it? SR: I think it's because it is such a big production, and it really requires some sincere, honest, true Verdi singers to carry it off. I'll be doing it in Torino in March 2011. JS: Who had the biggest influence on you when you were growing up and studying to be an opera singer? SR: The biggest influence was Placido Domingo. I saw him on TV singing in Tosca at the Arena di Verona when I was eleven. I said to my mom - 'I want to do that'! The first recording I bought was La forza del destino with Leontyne Price, Domingo and Sherrill Milnes. I listened to Price and I thought - oh, where did this voice come from?! It's so beautiful, like molten lava, the chocolaty warm sound. Then I found Maria Callas! Domingo, Price and Callas had the biggest influence on me. I was very lucky to find and be attracted to voices that are similar to mine too! JS: What do you love most about your work, as an opera singer? JS: Do you still study? Do you vocalize every day? JS: Now, what do you NOT like about your profession? SR: (Big laughs) The travelling! For me, travelling, and being away from home is difficult. Luckily, my husband travels with me, so I bring part of my home with me. It's become such a hassle after 9/11. Just simple things like taking a bottle of water on the plane, being body checked...you feel so violated. Just the hassle of it. JS: Have you ever missed an engagement because of this? SR: No, thank goodness! But I've missed a plane because of it. That part of it is tough...missing birthdays, weddings, anniversaries. You really get to know who are your real, dear friends. Unfortunately, they often have to come travel to you. But you make it work. The good thing is you know when you are going to be home. I have my schedule for the next 6 or 7 years - I'm booked to 2016-17, so I know when I'll have a free week to go to the Bahamas! JS: How many performances do you sing a year? SR: It depends, maybe 40 operas. Including concert, it's maybe up to 50, 55. JS: If you do have spare time, what do you enjoy doing? SR: Sitting at home (laughs) I'm a real homebody...sitting at home and having friends over. It's such a simple joy. We have a new house we bought in September and I haven't seen the flowers grow yet. We have ten acres, trees, pond...I love going into the garden. JS: Do you enjoy your life here in Canada? SR: I do, I really love it! We live right by the forks of the Credit now...walking down there right by the river. Canada is breathtaking...this area is spectacular, and the people are so nice. JS: When you are not learning music, not studying, what do you listen to? SR: A lot of pop music...I just bought Barbra Streisand's CD - she's a good friend of ours. I also like Josh Groban... he's also a friend of ours. Love Billy Joel, 80's music... of my generation. It's fun, easy listening. Amateurs de musiques improvisées, prenez note ! Le mardi 16, la série hebdomadaire Les Mardis Spaghetti met sa main aux pâtes (sic) avec son Marathon Macaroni, soit 14 heures ininterrompues de musiques créatives tous azimuts, et ce, dès 10 h le matin. Plus d’une cinquantaine de prestations défileront sur la petite scène du Cagibi (5490, boulevard Saint-Laurent, angle Saint-Viateur) avec des participants d’ici et d’ailleurs (Canada, É-U. et Europe). Theatre: In March at the Segal, a co-production with Théâtre du Rideau-Vert brings us Old Wicked Songs, the story of a young American piano prodigy and his teacher. The young virtuoso, hoping to re-ignite his artistic spark, ventures to Vienna. However, he ends up colliding with his Viennese music teacher instead. Separated by their experiences, their ideas and their generations, it is their mutual love for music that becomes the one bond strong enough to bridge the gap. Robert Schumann’s songs are woven throughout the play as past and present confront each other through these two men. Jusqu’au 21, Tangente y va d’une programmation tous azimuts avec, notamment Caroline Dubois, Andrew Turner et Isabel Mohn. Du 5 au 20, Paula de Vasconcelos revient séduire avec sa dansethéâtre en racontant l’histoire de la découverte de la route des Indes dans Boa Goa. La danseuse tétraplégique France Geoffroy (voir le photo) se produit quant à elle au Monument national du 17 au 27, dans une chorégraphie d’Estelle Clareton précédée d’une pièce de hip hop. Du 18 au 27, les GBCM nous offrent un programme triple de pièces de Jiri Kylian alors qu’Harold Rhéaume se déplace de Québec pour mettre son âme à Nu sur la scène de l’Agora. Organisé par le Studio 303, le Festival Edgy Women s’invite à Tangente du 20 au 28 pour son volet danse et c’est avec du flamenco contemporain que mars rejoint avril. Hvorostovsky is of course a frequent visitor to Toronto - I must have heard him here close to ten times since his first appearance here, around 1992. And I try to catch him wherever I can in my operatic travels. It is rare, however, to find Sondra Radvanovsky singing on local stages. This is particularly strange as she has been living in the GTA for quite a number of years, having married a Canadian. I heard her at the Met and Santa Fe as Violetta in La Traviata, but in Toronto, it was limited to only the LUNA concert of the first year of the Luminato Festival. If memory serves, she sang Casta Diva from Norma and wowed everyone. With her voice, it just takes two seconds and you just know that this is not your usual soprano voice. It is dark, rich, powerful, expressive, with stunning breath control and exemplary agility. It is, in fact, an authentic Verdi soprano, an extremely rare species. She arrives home fresh from a triu mph as Elisabetta in Don Carlo at the Opera Bastille in Paris. I spoke with a friend who was lucky enough to catch her at the performance last Friday. 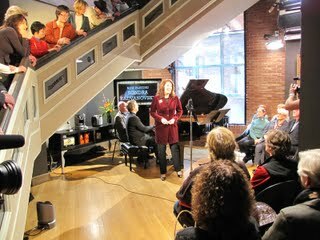 She was in fabulous form, receiving endless ovations from the enthusiastic audience. 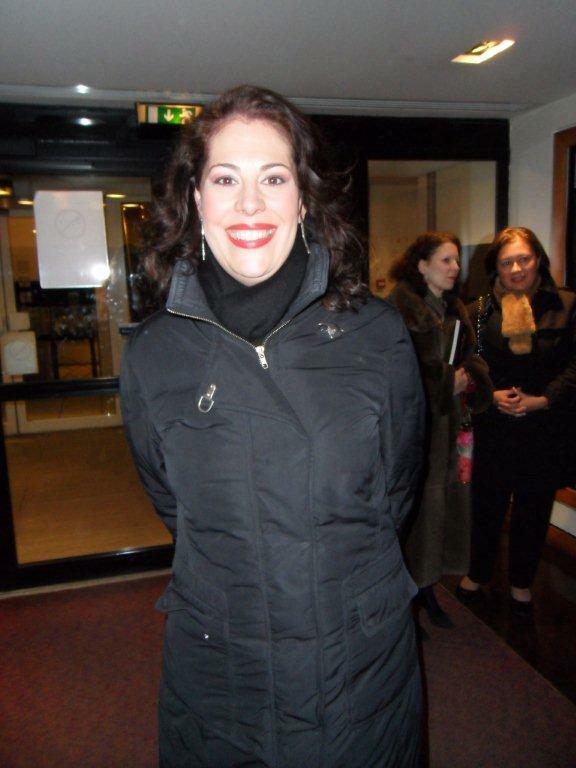 Here is the photo of a smiling Radvanovsky backstage at the Opera Bastille after Don Carlo last Friday. Another exciting event this week is the appearance of Valery Gergiev and the Mariinsky Orchestra (formerly the Kirov Orchestra), all the way from St. Petersburg. Anytime this orchestra tours, it is always an unforgettable event, so this time it'll be no different. There will be different programs on the two nights. The first, on March 16, has Berlioz's Royal Hunt and Strom from Les Troyens and selections from Romeo et Juliette, and Tchaikovsky Symphony No. 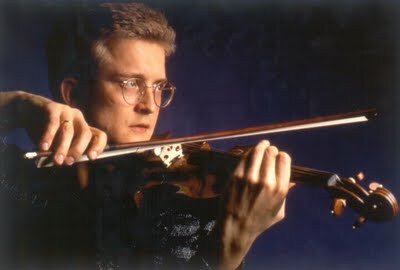 5; the second performance has Denis Matsuev playing Rach 3, and Shostakovich Symphony No. 15! Either program is terrific and if you can, go!